View of Liverpool & Manchester Railway 0-4-2 No 57 'Lion' standing at Dunchurch station's down platform circa 1961. 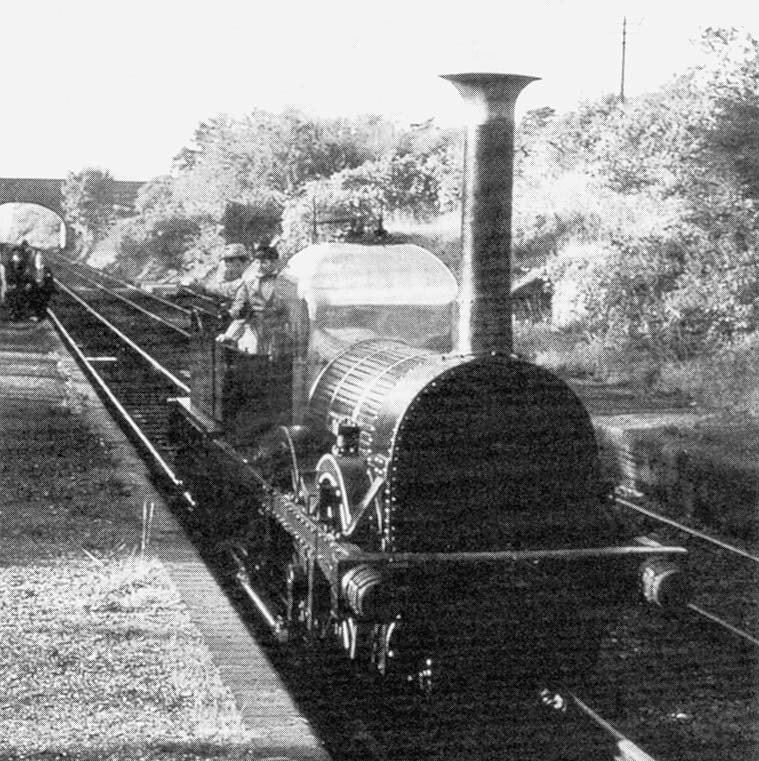 'Lion' received a new boiler in about 1845 and it was used in traffic until about 1858 being sold in 1859 to the Mersey Docks for use as a stationary engine. It was rediscovered when in 1928 it was replaced by an electric pump. A new tender based on contemporary drawings was also constructed. 'Lion' took part in the Liverpool and Manchester Railway centenary celebrations in 1930 and the London and Birmingham Railway centenary in 1938.